The Public Ethics Commission was created in 1996 with the goal of ensuring fairness, openness, honesty and integrity in City government. The Commission administers compliance programs, educates citizens and City staff on ethics-related issues, and works with City staff to ensure policies are in place and are being followed. The Commission also conducts investigations, audits and public hearings, issue subpoenas, and imposes fines and penalties to assist with its compliance responsibilities. The Commission is a resource for City staff, public officials, candidates for local elective office, lobbyists, contractors doing business with Oakland, City residents, businesses and other organizations. The Public Ethics Commission was created by City Charter, amended in November 2014, as an independent, non-partisan City board to oversee compliance with the City’s campaign finance, transparency, and ethics laws. The Commission is a seven-member board of volunteer Oakland residents. Three members are appointed respectively by the Mayor, City Attorney, and City Auditor, subject to veto by the City Council. Four members are recruited and selected by the Commission itself. The Commission’s daily operations are conducted by staff at the direction of the Commission. The Public Ethics Commission fosters transparency, promotes open government, and ensures compliance with ethics laws through a comprehensive approach that emphasizes prevention, enforcement, and collaboration. Prevention activities consist of education, outreach, information, and advocacy to help individuals understand and comply with government integrity laws and to suggest legislative changes when necessary. The Commission is a resource for City staff, public officials, candidates for local elective office, lobbyists, contractors doing business with Oakland, City residents, businesses and other organizations. Enforcement includes investigations, audits, public hearings, subpoenas, fines, and penalties for certain types of violations. The Commission also incorporates alternative enforcement strategies, such as sharing information publicly and referring issues to another enforcement entity where appropriate. 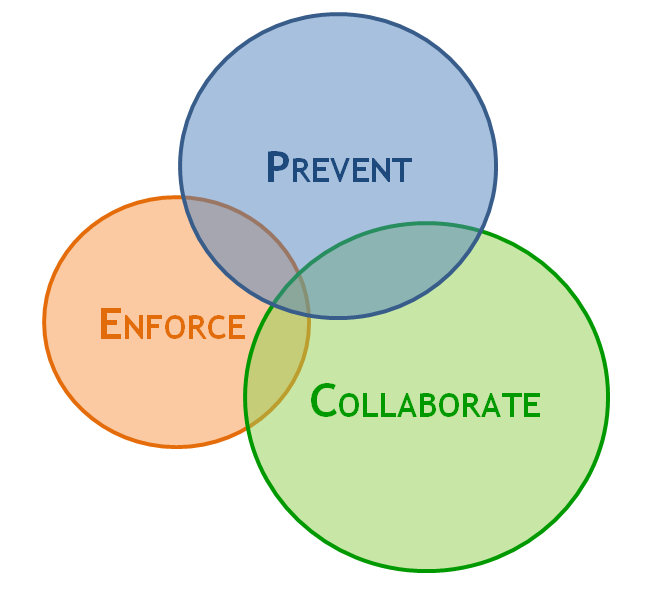 Collaboration recognizes that lasting results are achieved not through education and enforcement alone, but through a comprehensive strategy that aligns all points in City government – including clear policies and process, effective management and provision of staff resources, technology and infrastructure that support the process, and an understanding of citizen expectations. A collaborative approach includes engagement, innovation, and partnership to leverage the efforts of City and community partners working on similar or overlapping initiatives and facilitate changes in systems and culture to achieve ethical and open government outcomes. Provides a comprehensive framework of ethics and conflict of interest rules for public servants. Encourages limits on campaign spending and seeks to reduce the influence of large contributions on election outcomes. Provides partial public funding to City Council District candidates to promote a fair and equal opportunity to participate in elective and governmental processes. Promotes access to government documents and timely notice of public meetings.